When it comes to insurance policies, the deductible is the amount of expense that you must pay out of pocket before your policy will pay out any expenses. For First Time Auto Insurance Buyers sake: Typically, deductibles are used in order to keep a large number of trivial claims down that a consumer can reasonably be expected to pay for. When an insurer restricts its coverage to things that are serious enough to incur larger costs, the insurance firm may end up paying out smaller amounts much less often and therefore, may have much more savings. 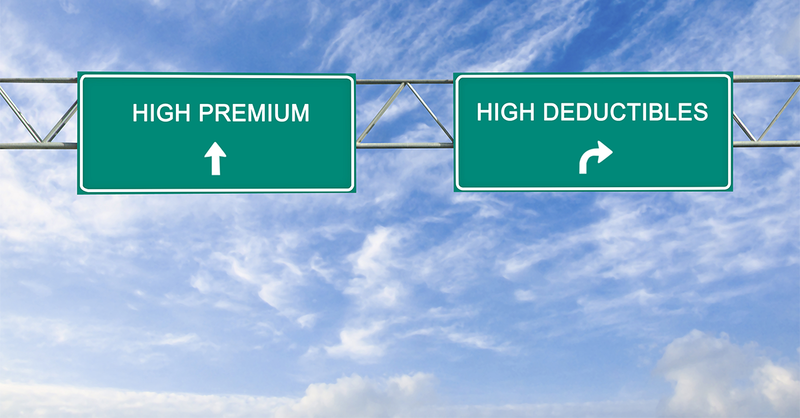 Typically, your insurance premium is much cheaper if you have a higher deductible. Deductibles are typically offered as clauses in an insurance policy and dictate how much of an expense that is insurance-covered must be covered by you. These are usually estimated as a fixed amount and are part of most policies that cover loss to the policyholder. Then, the insurer becomes liable for any expenses that exceed this amount, which is then subject to the maximum amount claimable according to the contract. The policy dictates whether the deductible applies to each individual incident, or per year. Do you have things in order and have a good-sized emergency fund built up? Check out your bank account when you are trying to decide on a deductible. If you have a $1000 deductible, that may not be beneficial to you if you do end up having a claim and don’t have the money to cover it. You should not have to take out a loan to get repairs done, and accidents do happen. If you do decide to take on a $1000 deductible, make sure that you are prepared to pay for it if that time comes. You may end up extremely frustrated if you can’t drive your vehicle because you didn’t plan on having to cover those out of pocket expenses. The value of your vehicle makes a huge difference when it comes to choosing which deductibles make the most sense. If you have an expensive vehicle, it may cost a lot more to insure. Choosing a policy with a high deductible makes the most sense because you can end up saving a lot more. What are the chances that you may actually have to file a claim? No matter how good of a driver you are, everyone has some driver risk. Think about the times of day that you drive, and the places you frequently drive in. If you are highly likely to have a claim, you might want to choose a policy with a lower deductible. However, if you are a high-risk driver, you could save money if you go with a high deductible. Once again, it is best if you check with your insurance agent or get an online quote with different deductible options. The idea of the vanishing deductible is becoming a very popular option, but it depends on who you ask as to whether it is a good option or not. If having to pay a deductible may break you financially, choosing a vanishing one could be a helpful option. You may end up paying an extra insurance premium in order to get this reduction in deductible. You would be much better off if you start saving money into an emergency savings fund. However, if you struggle with saving money into an emergency savings fund, you should probably choose the vanishing deductible. Typically, people may choose different deductibles for different coverage. Usually, comprehensive coverage is a cheaper coverage, so most people may go with a lower deductible. On the other hand, collision coverage is usually more expensive and therefore, it makes more sense to choose a higher one. Most people are choosing a $500 deductible on comprehensive and $1000 on collision coverage, with the cost of insurance going up. You should try to choose the same deductibles on all your vehicles, just to keep things simple. You may get quite frustrated if you choose different deductibles for each vehicle. Make sure you know what your deductible is and be ready to pay it in full when you go to repair your vehicle after the damage is done.